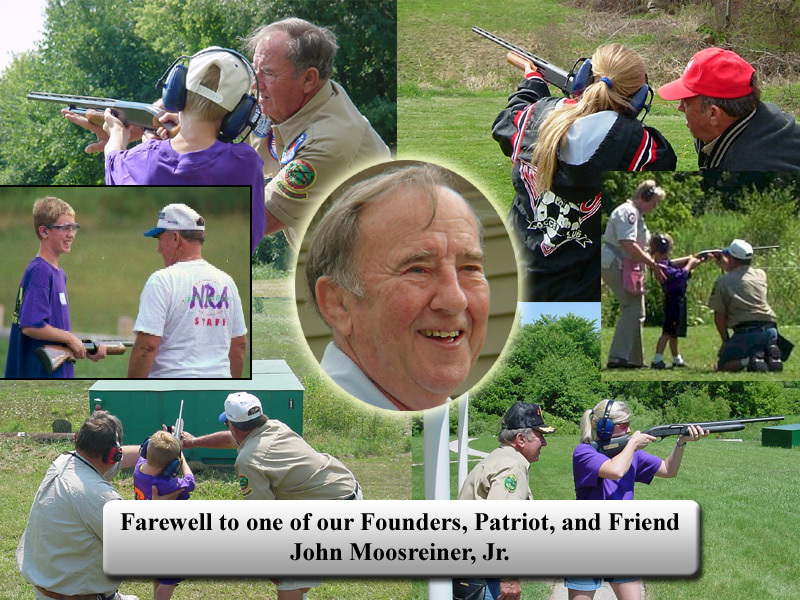 John Moosreiner was not only one of the founders of Heritage Shooting, Inc., but an inspiration to many of us who had the pleasure to work by his side. A fellow Patriot, his commitment to the preservation of our Second Amendment rights and our shooting sports heritage was demonstrated through his actions. John was a mover and shaker in getting the present Heritage Shooting facility built leveraging his knowledge and sweat equity to help us extend our limited funds to create our fantastic facility. He was an active instructor whose engaging humor and quick retorts kept instructors and students on their toes. When I learned tonight of his passing last week, I can’t help thinking that when we held our NRA Women on Target on this past Saturday; he was smiling down on us and felt pride that his efforts and commitment live on. Johnny, until we meet again, may God Hold you in the palm of his hand. He surely blessed me by interjecting you into my life – as a role model, mentor, and friend. You will be missed, but always remembered by those whose lives you touched. Jeff Laughland – President, Heritage Shooting, Inc.